During the work week, I leave for work before it is light outside. 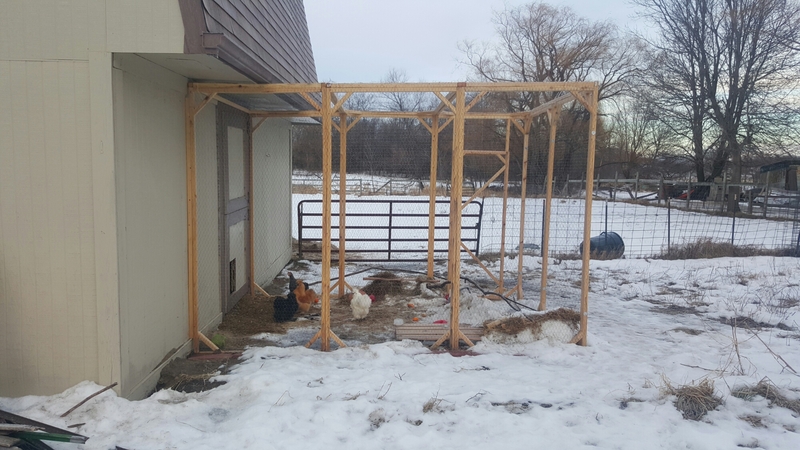 I was excited to be home this morning to see the chickens enjoying the outdoors on their own. 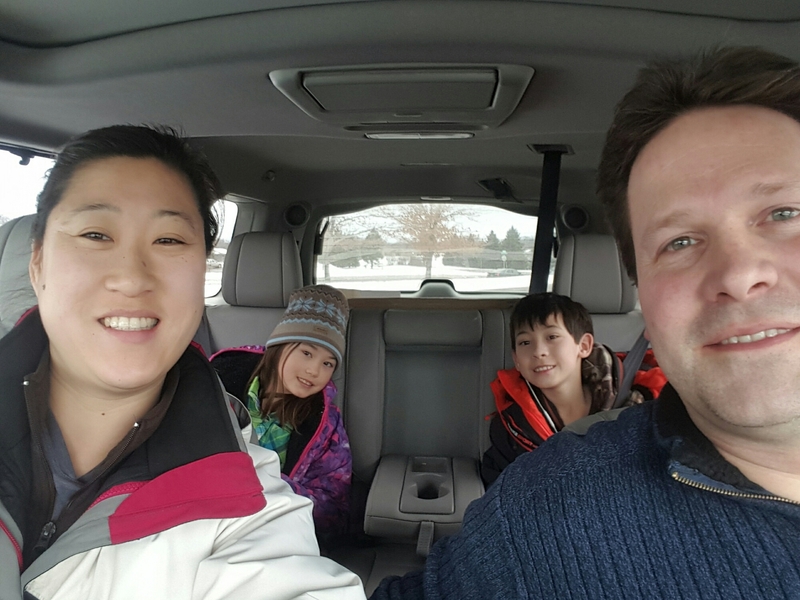 Here we are heading to Wisconsin with my chaperone. Last time I went to the chicken farm alone I ended up with 14 chicks instead of 5, which is what I had told Dustin before I left the house. The last time I visited this breeder I did not see the full operation but today we got the full tour. I will just say it was something from a horrible nightmare of a place where the world was taken over by hundreds of chickens. Let’s just say we were definitely outnumbered, by a lot. At the end of our tour we left with 4 hens, a box of field corn, and a dozen eggs. 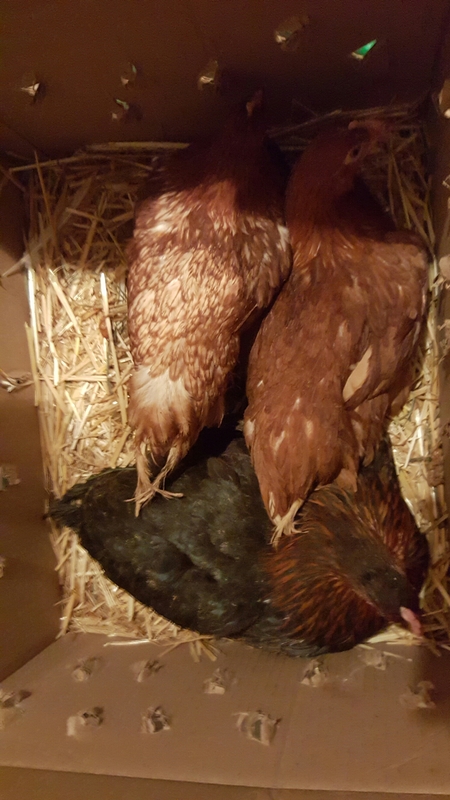 Once we got home, one of the hens looked pretty rough. This was Dustin’s pick. He told me later he felt sorry for it. 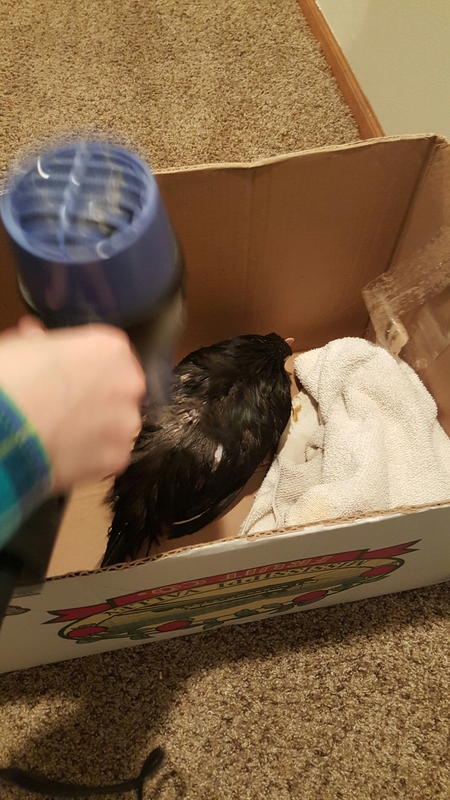 So the new hen got a bath tonight before meeting the rest of the flock. 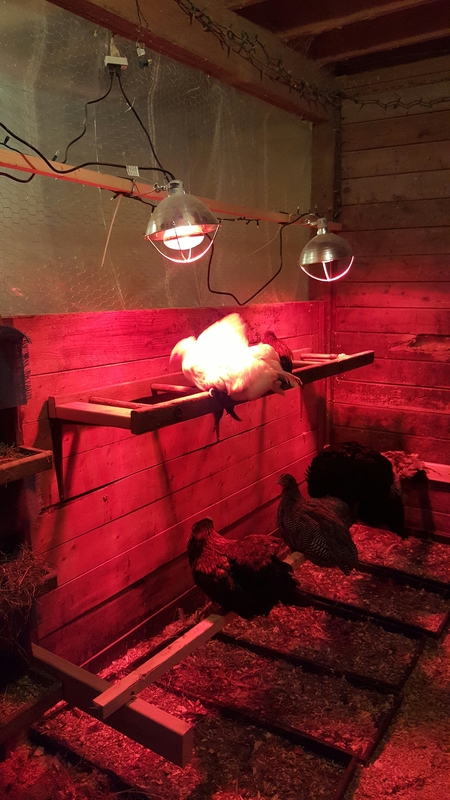 I had created a separate pen for the new 4 hens but while I was setting up the feed and water one slipped out and I was surprised to see the regular group acting like the new hen had been there all along. I decided let’s see if all 4 would be so lucky. To my surprise they all did pretty good. Here is a mix of some of the new and old. 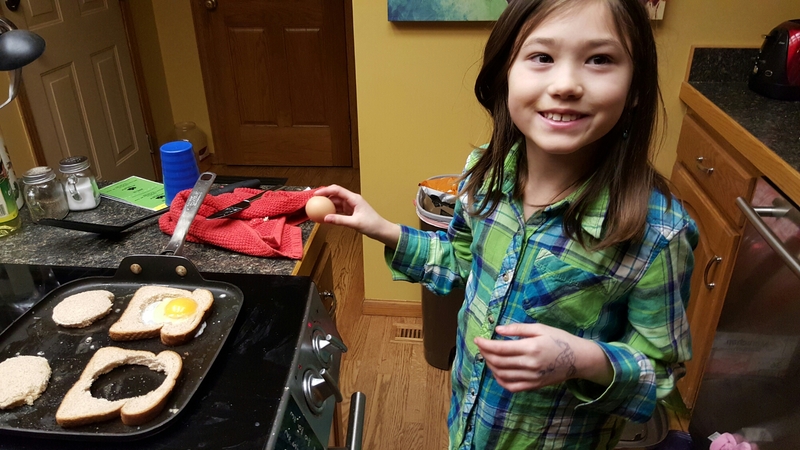 The night ended with Sadie enjoying the day with the profits from the chickens- farm fresh eggs.